The Windows Store is filling up with more and more high quality games that are a blast to play. 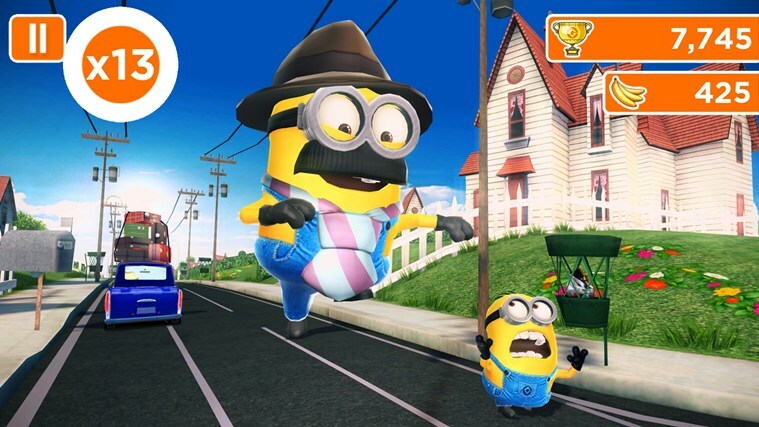 One of the latest in the series is called “Despicable Me: Minion Rush”. This is the latest in a series of fantastic games released by Gameloft. 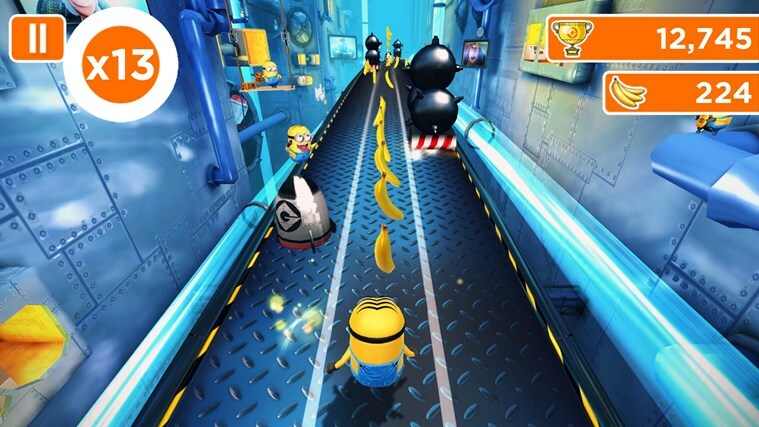 The game is based on the animated film Despicable Me, where you play as one of the cute, yellow, minions. Your mission is to run and collect as many bananas as you can. You will have to dodge all sorts of stuff and fight off villains. There is a giant golden cup for the best minion. Can you be the one? The game works great with the Xbox 360 controller. You can use the keyboard as well as touch inputs to play the game. The entire gameplay is very well animated. Attention to detail has been noted in every single corner of the game, from scenery, to obstacles, to the characters. There is a different animation for bumping in to different types of obstacles. The voice acting is great and you truly become immersed into the game. Here is an example: in the game you will meet your fellow minions who will take your hand and swing you forward. The camera changes angle and the entire scene is immersive like a movie. There is humor throughout the game, from the opening scene to bumping into your minion friends and having them hint your computer screen. I really enjoy this game, and I think you will too! Best of all, it is free at the time of this writing! So go and grab it, and start your adventure engines! 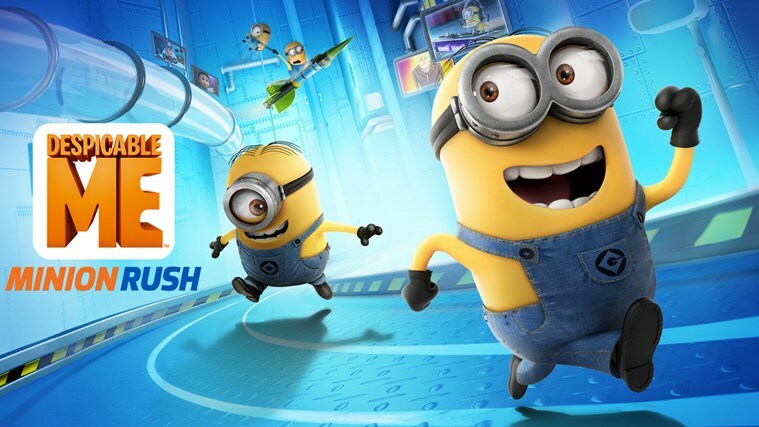 Gru’s loyal yellow gibberish-speaking Minions are ready for their toughest challenge in Despicable Me: Minion Rush. 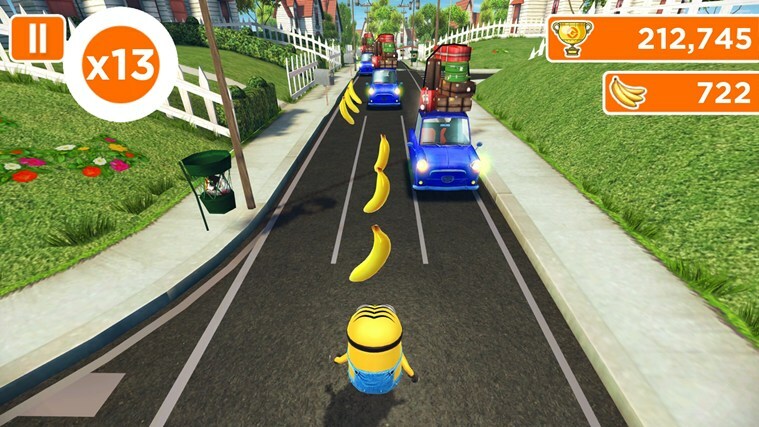 Play as a Minion and compete with others in hilarious, fast-paced challenges in order to impress your boss, (former?) super-villain Gru! Jump, fly, dodge obstacles, collect bananas, be mischievous, and defeat villains to earn the title of Minion of the Year! 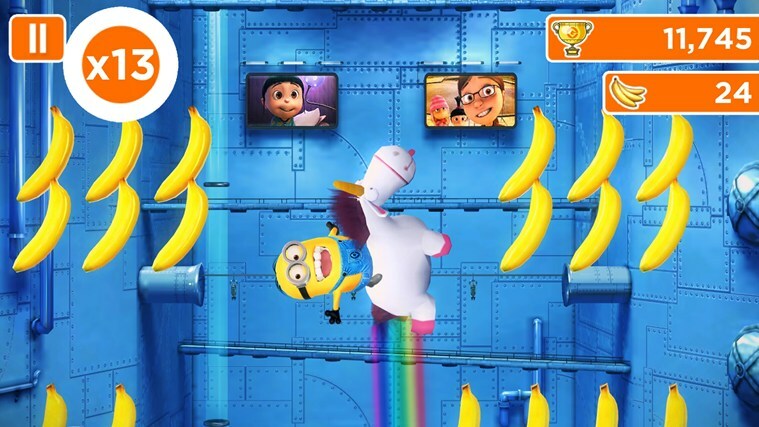 AN INNOVATIVE AND ORIGINAL GAME • Encounter secret areas, unique boss fights and amazing power-ups • Experience custom animation, voiceovers, and state-of-the-art 3D graphics • Enjoy multiple dynamic camera angles • Engage in various bonus gameplay modes: → Destroy things as Mega Minion → Collect bananas while riding the Fluffy Unicorn → Hang on to Gru’s Rocket for the ride of your life • Have fun with your friends! See their best scores during your run, and send them funny Minion taunts and challenges to show them who’s going to win Minion of the Year! Next Next post: Viber for Windows 8 is here!